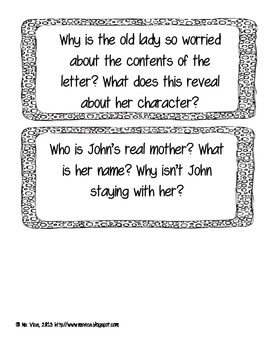 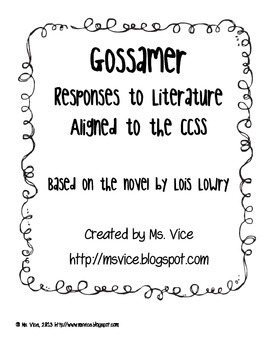 This response to literature station serves as a writing extension for Lois Lowry's 2006 novel Gossamer. 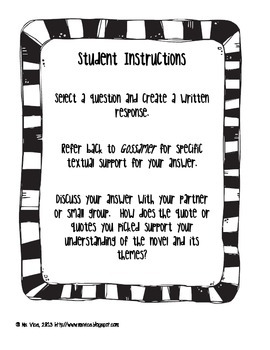 This station includes over twenty writing tasks, based on the novel, that require students to refer back to the text to find specific textual information. 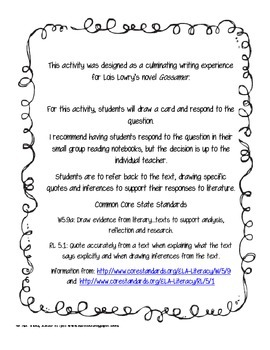 A must have for whole or small group literature circles!